Construction will start in 2020 on a third southbound lane on Interstate 17 between Black Canyon City and Anthem, ADOT said this week. It’s the first piece of a previously announced plan to create three lanes in both directions in the years 2021-22, plus build flex lanes northward to Sunset Point. The flex lanes would be open to one direction at a time depending on need. The entire project is still in the study phase, and a specific start date has not been set, said ADOT spokesperson Doug Nintzel. 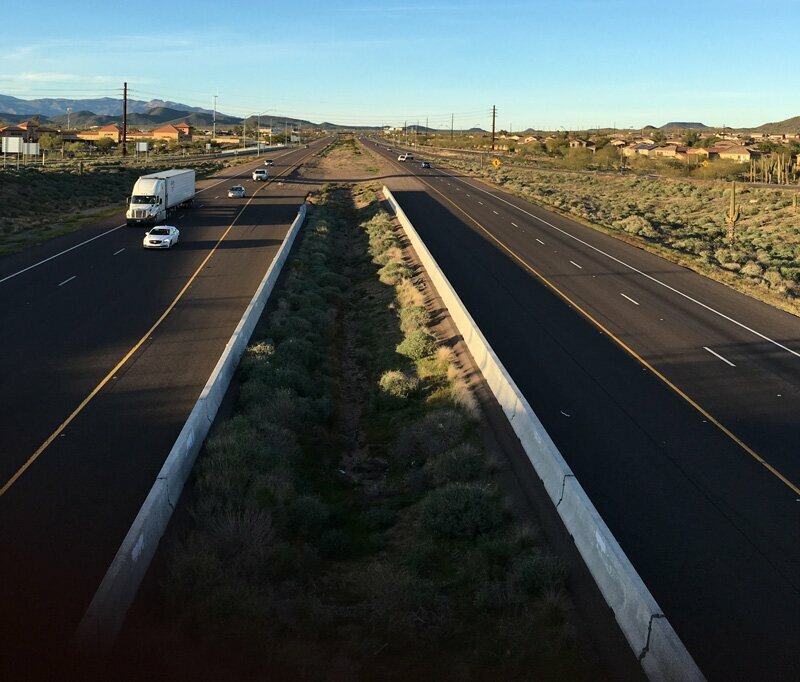 The flex lanes, also called “reversible lanes,” would improve traffic flow in the crash-prone, 8-mile grade from Black Canyon City to Sunset Point. They would be used for the busiest direction of travel. For example, they could be used for northbound travel on a Friday as vacationers head to the mountains, then used for southbound travel on Sunday. The extra lanes would be controlled at each end by a gate or similar mechanism, to prevent drivers from entering in the wrong direction. Similar systems are used in cities to create extra lanes in either direction of bridges. “Those separate lanes would be operated with gate or barrier systems on either end to allow only one direction of traffic,” Nintzel has said previously. Construction of the flex lanes is expected to take two years, ADOT said this week. All the Way to Flagstaff? In June 2017, the State Transportation Board approved a five-year plan that includes funding for design and construction of the project. North Phoenix News initially reported the project proposal last in February 2017. Final designs and plans are expected to be completed in summer, 2019. The agency’s longer-term goal is to widen I-17 to three lanes all the way to Flagstaff, Nintzel said early last year. That project, which is only a vision for now, would require separate approval and funding. ADOT officials have repeatedly stressed that crashes on I-17 are almost always the result of driver behavior, not the road itself. 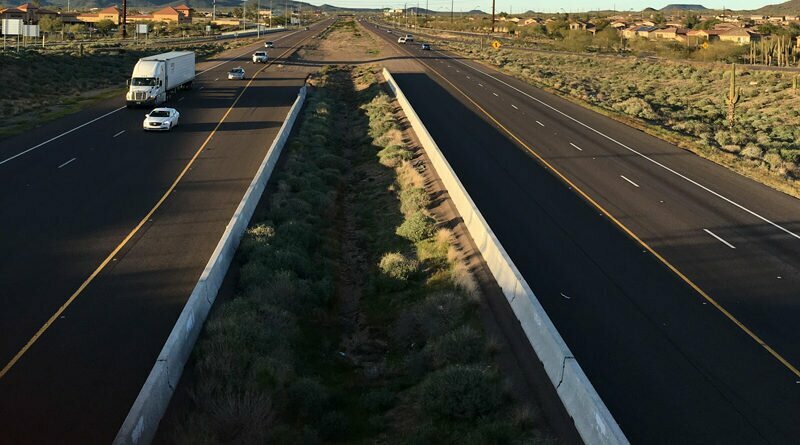 Forty percent of accidents on the crash-prone stretch of freeway near Black Canyon City are caused by drivers going too fast for the conditions, ADOT said last year. Statewide, speeding is the No. 1 cause of crashes, and 31 percent of motor vehicle deaths in 2016 involved speeding.